You will add many Cheats: God Mode , Infinite Stamina , No Keys Needed , Unlimited Ammo and many more. Welcome to Apocanow! This article shows the trainer of the game Ghost of a Tale and contains a little guide to its use in separate pages, you will also find possible solutions and tricks of the game. Not only that, we can also offer you the tricks and codes of this game! 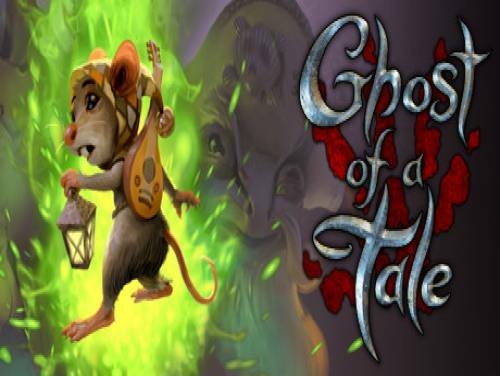 See the tricks of Ghost of a Tale of apocanow, that is a selection of cheating and strategies to overcome any hostility the game puts you in front of you, together with the tricks you can also find the list of Objectives and Trophies and how obtain them. You are Tilo, a brave Mouse minstrel with a dangerous mission: to find his true love. Move stealthily and use your cunning as you explore the Strong Derovin, from its highest towers to its secret most profound, sfuggendone the dangers and discovering its ancient secrets. The program you are about to download was not created by Apocanow. However, we have permission to publish and publicize by the authors of the Trainer Ghost of a Tale Trainer - v7.91. The contents of the file are virus free, even if sometimes they can trigger the AV as false positive. While active you can unlock everything without a key. While active enemies do nothing. They don't see you or hurt you.